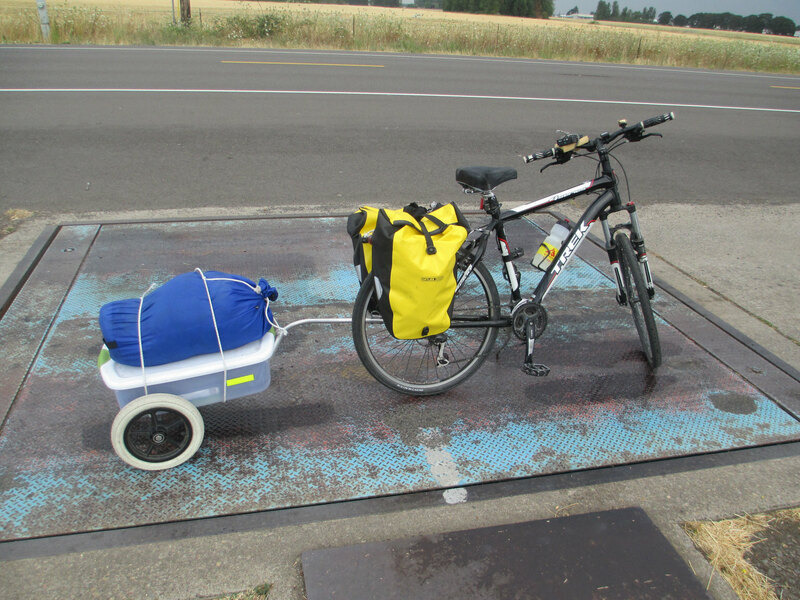 My bike, trailer and supplies weighs 80 pounds. I add another 180 pounds. I've lost a bit of weight. Weighted around 185 when I left Bellingham, but not being a weight watcher, I don't weigh myself often. What's amazing to me is how sensitive a truck scale can be. 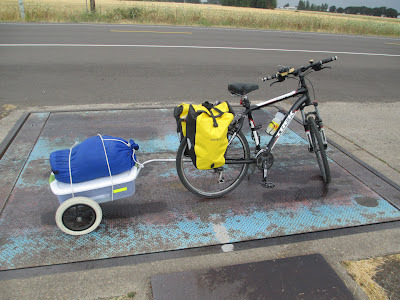 Designed to weigh tractor trailers in the tons it can also weigh someone with as light of a footprint as me. Amazing how technology keeps advancing. Weather has cooled off as I head east from Eugene Cloudy with scattered thundershowers.